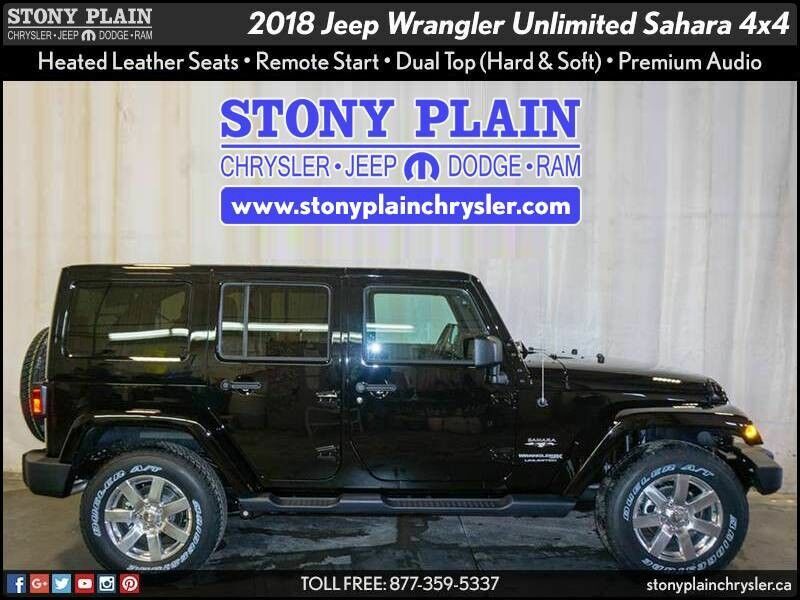 This 2018 Jeep Wrangler JK Unlimited Rubicon SUV is offered to you for sale by Stony Plain Chrysler. This SUV gives you versatility, style and comfort all in one vehicle. You appreciate the finer things in life, the vehicle you drive should not be the exception. 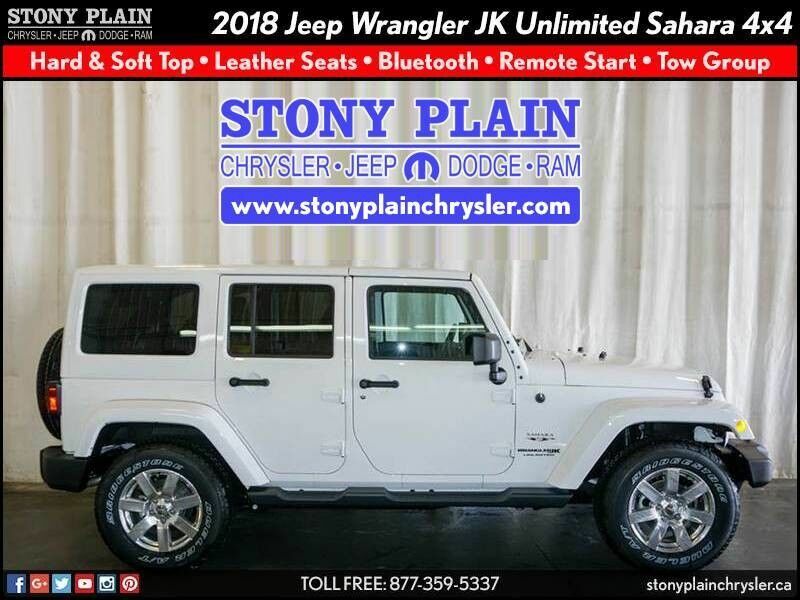 Style, performance, sophistication is in a class of its own with this stunning Jeep Wrangler JK Unlimited. Taking the road less traveled has never been more fun than with this 4WD. With improved performance, mileage and acceleration, this 2018 4WD Jeep Wrangler JK Unlimited Rubicon is king of the off-road. Enjoy the drive without worrying about directions thanks to the built-in navigation system.